Protect your planet from alien invaders in this unique RTS experience. Freely reposition Satellites and manually dictate their targets. 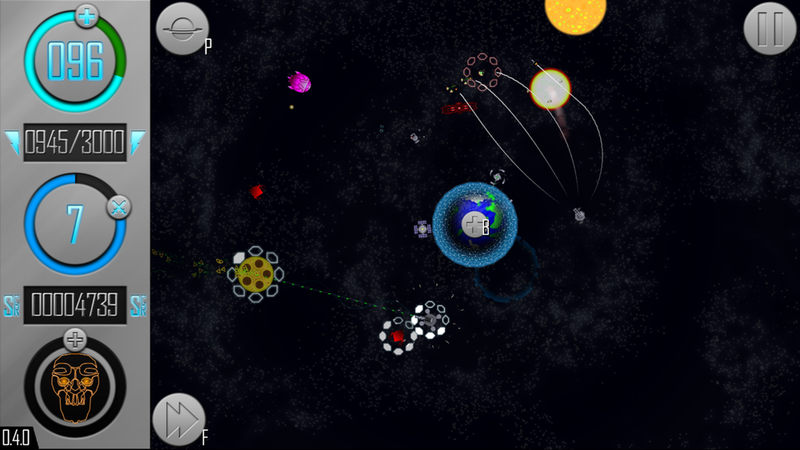 Manage your Energy reserves to send Satellites into orbit or unleash Planetary Powers. Campaign Mode: 5 Planets, 5 levels each! 3 Challenge Levels: Put your tactical satellite skills to the test! Each level features a unique challenge which puts a spin on the Orbit formula. Perfection is possible: Each Campaign & Challenge level features a unique (non-random) sequence of aliens which assault your planet, and a unique set of available Satellites with which to fight them off. By learning the sequence in which enemies attack, it is possible to defend against enemies in an optimal manner and get a 3 Star Rating. 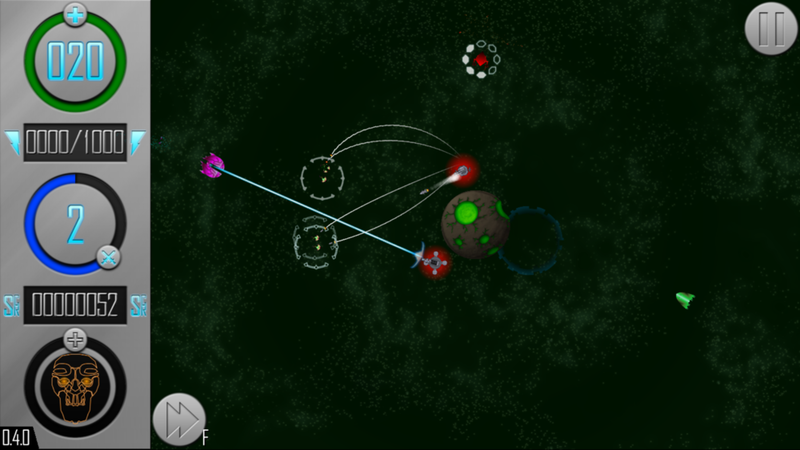 4 Endless Modes: Go for the high-score as you fend off an infinite swarm of aliens. These modes auto-save after each wave you complete, so you never lose your progress. Unique Satellites + Enemies: Every Satellite has it's role, every enemy has its weakness. No single Satellite or enemy is just a stronger version of another; this is a game about strategy, not brute-force one-upmanship. Designed for Desktop: Optimized for Mouse/Keyboard; Orbit: Satellite Defense has shed it's mobile past. Features Keyboard shortcuts for all on-screen buttons. Manual Targeting has been assigned to Right-Mouse button to eliminate the Satellite pop-up Menu, streamlining the overall gameplay experience. 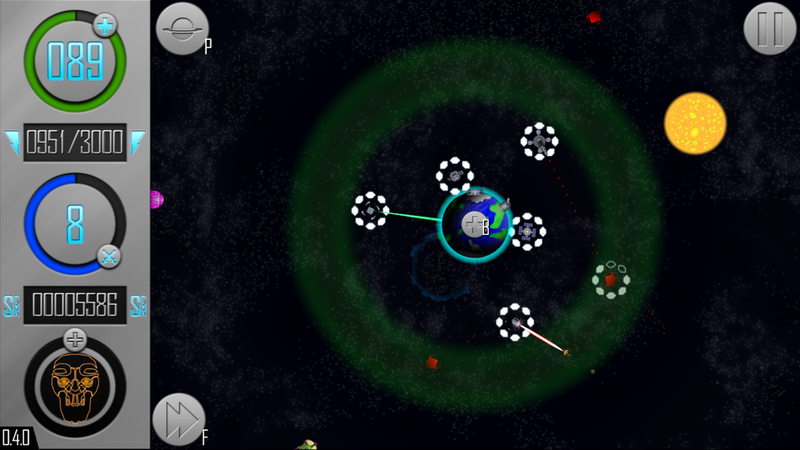 Orbit: Satellite Defense is based off a Game-Jam game by Ari Lotter called "s0lar". When the concept won top-prize in the Jam it was created for, Attila "Gabriel" Branyiczky approached Ari about the idea of developing the game for an iOS Mobile release. After the positive reception of BGP Orbit and a successful Steam Greenlight Campaign, Attila began a complete overhaul of the game for it's desktop release. The intention was the game should not feel like a Mobile-port; hence the assignment of Manual Targeting to the right-mouse button. The game's tutorial was removed in favor of a prolonged Campaign Mode which introduced players to new features one at a time. After several other small tweaks, the game went live on Steam on 30 January, 2018.